So, according to Steph, my blog hasn’t been very “woddy” lately. And she’s right. I’ve been all bummed out that I can’t make it to the box as much because I’ve got so much going on with work. The maximum number of times I can make it to the box is about 3 due to horrendous schedules. 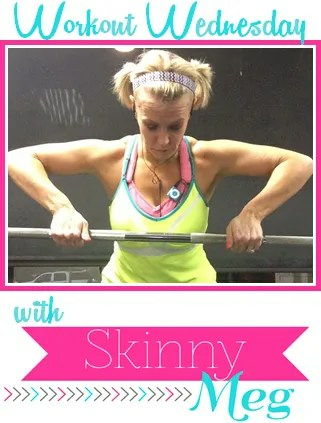 BUT, just because I can’t make it all the time doesn’t mean I don’t have to work out. Because I do. Or else I’m just a big rage monster. Big thank you to Katilin for coming with me to snap this picture. This is the coolest board right down the block from RSCF. Basically, you can use to chalk to write what you want to do before you die. 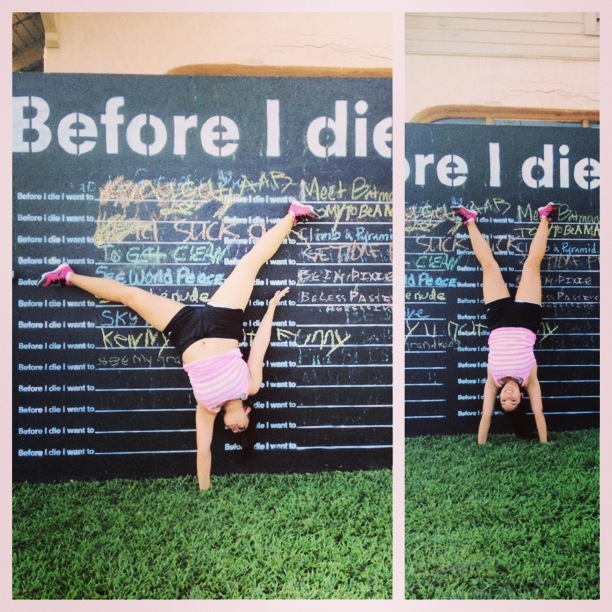 Well, before I die, I want to do some handstands on the Before I Die board. Mission: accomplished. I have decided I have had enough of not being able to do double unders. I’m going to get them if I have to sit there and practice every night in my living room. I can’t deal with singles anymore. My thruster form was better, I noticed: I could sit in the bottom of my squat with my elbows completely up, I just felt like a weakling. Andrew says it has mostly to do with the fact that I’m exhausted all the time. I reckon he’s right. 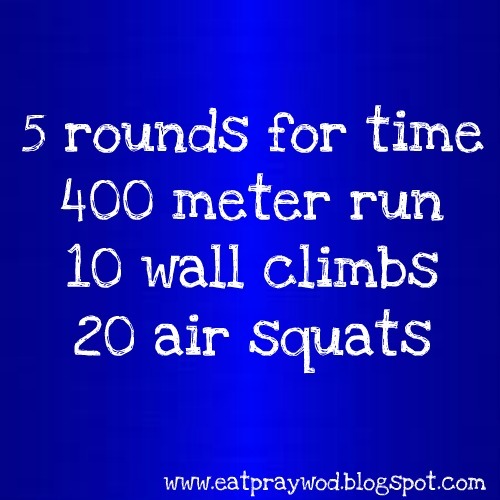 I got out of work a little later than I expected and couldn’t make it to the box last night, so instead, I made up a WOD really quickly and did that instead. I’m not a programming genius like KB, so I just did the best I could. Y’all, those wall climbs killed me. The running was okay. The squats were great. The wall climbs made me want to end my life. Maybe it’s a lot of being inverted and a lot of stress on my back/shoulders. Maybe those are just excuses. Guess that’s something I need to work on ASAP. 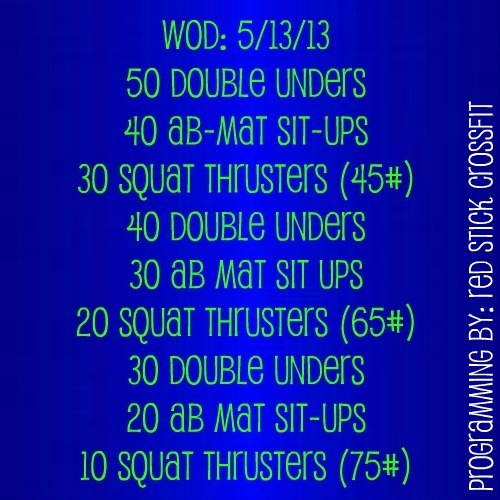 And can I say that my abs are STILL sore from Monday? Geezum peets. I’m really looking forward to getting to the box tomorrow after school and at least being able to enjoy it a little. ONE MORE WEEK UNTIL SOUTH CENTRAL REGIONALS!